In 2017, the Grand Valley Water Users Associa on (GVWUA) conducted a temporary agricultural fallowing program to save 3,200 acre feet of conserved consumptove use normally applied to crops. It was an experiment in water banking — to see how a program to send saved water to bolster Lake Powell might work. GVWUA is extending the program to the 2018 growing season and received a $50,000 contribu on from the Colorado River District Board of Directors toward the program’s $1 million budget. Mark Harris, GVWUA General Manager, told the Board that a second year is needed to con nue learning the lessons of fallowing and to broaden the knowledge of it among water users who are watching how this program might work for them. Harris said that the Drought Contingency Plans (DCP) being developed by the Upper Division states and the Lower Division states to address low levels at Lakes Powell and Mead have put a “clearer focus” on demand management, which means reduced use by agricultural and municipal water users. He said the 2018 program will keep the conversa ons about these issues moving forward and will advance the learning in economics, agronomics and the political implications. Another piece of the Colorado River shortage puzzle has been put in place with the completion of a Blue Mesa Reservoir water bank study. The study was a joint effort by the Arkansas Basin Roundtable, Gunnison Basin Roundtable and Colorado Water Conservation Board. It looked at whether water could be stored in Blue Mesa Reservoir near Gunnison to be released during a drought when Colorado might owe water to downstream states. “There are benefits to the environment during low-flow periods,” said Mark McCloskey, of CDM-Smith, consultants for the study, as he explained the study to the Arkansas Basin Roundtable this week. Under the 1922 Colorado River Compact, upper basin states (Colorado, New Mexico, Utah and Wyoming) are required to deliver 75 million acre-feet to Lake Powell under a 10-year rolling average. If that fails to happen, downstream states (Arizona, California and Nevada) could issue a call on the river. Colorado’s share is 51.25 percent of the deficit. Another 1.5 million acre-feet annually must be delivered to Mexico. While there has never been a shortfall of deliveries, there are indications from tree-ring studies that decades-long dry spells are possible. The study used the worst-case scenarios from the Bureau of Reclamation’s Colorado River Basin study — high demand in very dry years — to develop models of optimum timing and levels of storage in a water bank in Blue Mesa. It projected water that would be needed if levels fell to 80-98 percent of minimum levels. The study also determined how much water would be lost to evaporation or to stream banks along the way to Lake Powell. Replacement water likely would be purchased by Front Range or statewide interests from ranchers, and it’s not known how those purchases would affect high-altitude hay meadows, McCloskey acknowledged. It’s important to the Front Range, because a call on the Colorado River could mean curtailment of diversions across the Continental Divide. A curtailment could mean less water for Pueblo, the Fryingpan- Arkansas Project, Colorado Springs, Denver, Aurora and the Colorado-Big Thompson Project. All of those have water rights that were established after the 1922 compact. The study showed the optimum time to store water would begin when deliveries fell to 85 million acre-feet in a 10-year period. The optimum amount to keep in storage would be about 300,000 acre-feet. Some benefit was also seen in deficit irrigation below Blue Mesa in dry years to preserve river flows. The compact was drawn up by the states and approved by Congress because down­stream development was already occurring in Arizona and California. While it was known that drought impacts the basin, most thought the average flows in the 1920s could be used as a yardstick. The flows at that time actually were higher than they have been in the ensuing decades. Record low flows were recorded during the 2000s. The joint roundtable group plans to meet again on March 19 and report on the progress of the water bank plan at the meeting of the Colorado Water Conservation Board the following day, [Jim Broderick, executive director of the Southeastern Colorado Water Conservancy District] said. There also are questions about whether Blue Mesa Reservoir can be operated for water bank storage, but the state should develop a specific proposal before that can be explored, Broderick said. [Zeke Hersh], the owner of Frisco’s Blue River Anglers joined a contingent of six who voiced the message of Protect the Flows, a brand-new, grassroots organization dedicated to raising awareness of water supply and related jobs in the Colorado River system — from the headwaters to the delta. The group represented river-related business interests from Colorado, Utah, Arizona, New Mexico and Nevada, Hersh said, adding that the group isn’t just gaining traction by sitting with legislators and leaders in the nation’s environmental governance. It’s also building a broader base, growing from 170 companies to 370 companies involved in the effort from its start in summer 2011 to today. The goal in going to D.C. was to urge the Department of the Interior and legislators to consider plans that will employ smart, common-sense strategies to keep the Colorado River flowing when they finalize the Bureau of Reclamation’s Colorado River Basin Supply & Demand Study this summer. While in DC, the business leaders asked the Department of Interior to implement a plan that will improve urban conservation, improve agricultural efficiency and provide options for existing water storage that will allow for keeping more water in the river. The coalition touts these measures as a way to balance supply and demand to continue to serve the 36 million who rely on the waterway for drinking water and protect the 800,000 river-related tourism and recreation jobs across the seven Colorado River Basin states. “Jobs are very important right now. We do not want to lose one job,” Hersh said … as we decide how to manage the water in the Colorado River and its tributaries. Last year, several counties and water districts announced the Colorado River Cooperative Agreement with Denver Water that set out certain payments and water deliveries that will allow Denver to divert and store more water in Gross Reservoir, located in Boulder County. Such cooperative deals make sense and show that the Western Slope does not deserve its “Not One Drop” reputation, Treese said. 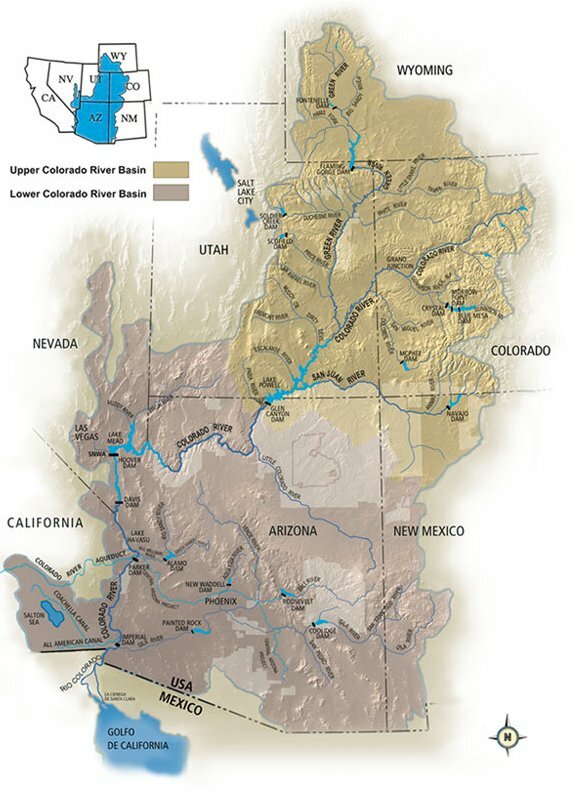 Colorado River Basin: What are the reasonable water management options and strategies that will provide water for people, but also maintain a healthy river system? Management of the Colorado River is a complex balancing act between the diverse interests of United States and Mexico, tribes, the seven basin states, individual water users, stakeholders, and communities. The challenges posed by new growth and climate change may dwarf anything we faced in the past. Instead of staring into the abyss, the water users, agencies, and stakeholder groups that make managing the Colorado River responsibly their business are working together, using the best science available to define the problem, and looking for solutions. We’re calling our inquiry the Colorado River Basin Study, and we want your help. As Colorado River management professionals, we have a lot of knowledge and ideas, but we know that we don’t have them all. We want ideas from the public, from you, but we need your input by February 1. You can submit your suggestions by completing the online form at: http://on.doi.gov/uvhkUi. The big question we need to answer is: What are the reasonable water management options and strategies that will provide water for people, but also maintain a healthy river system? We don’t believe there’s a single silver bullet that will resolve all of our challenges. We want to continue to explore the benefits and costs of every possibility, from conservation to desalination to importing water from other regions. The West was built on innovation and hard work, and that spirit is still strong. Our landscapes and communities are unparalleled in their beauty, resilience, and character. The economic well-being of our rural and urban communities in the Colorado River basin is inextricably linked to Colorado River and its environmental health. That’s why we are asking for the public’s input to help us craft a study showing a path forward that supplies our communities with the water they need to thrive and protects the health of the Colorado River-and the ecosystems and economies it supports. When: Jan. 19 and 27, Feb. 2, 6-9 p.m. Registration due Monday, Jan. 11. Where: GG City Hall Auditorium, 250 N. Fifth St. Cost for entire series: $35 MCWA members; $45 nonmembers; Single session: $15 MCWA members; $20 nonmembers. Some scholarships..
Studies estimate a 600,000 million-acre-feet shortage [ed. 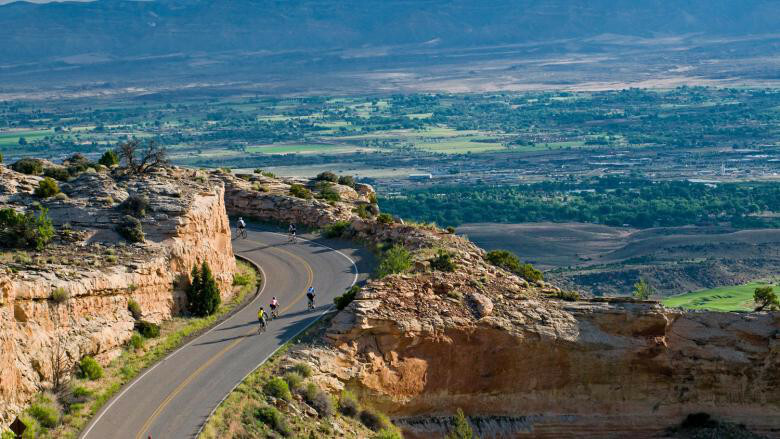 in the Grand Valley] by 2050, said Grand Junction Utility and Street System Director Greg Trainor, and a board member of the Mesa County Water Association. The Jan. 27 course will cover laws and programs that seek to protect and clean up Colorado waterways, the condition of Grand Valley rivers and streams, and how drinking water is protected and treated. The February course will explore threats to irrigated agriculture as cities grow; environment and recreation water needs; and how the Grand Valley could change with drought and increasing competition for water.